The regnal dates for the earlier kings are known only from Bede, who piously expunged apostates (Unde cunctis placuit regum tempora computantibus, ut ablata de medio regum perfidorum memoria, idem annus sequentis regis), and seems also to have deliberately suppressed details of short or joint reigns in order to produce an orderly sequence (he had no place for Æðelwald or Eormenred). Generally more than one king ruled in Kent. Some kings are known mainly from charters, of which several are forgeries, while others have been subjected to tampering in order to reconcile them with the erroneous king lists of chroniclers, baffled by blanks, and confused by concurrent reigns and kings with similar or identical names. Even modern historians are tempted to fill out the blank prehistoric period with mythological creatures, combine kings with similar names, and suppress multiple kingship, or at least reduce it down to some regular dyarchy. It is commonplace for the later kings to be referred to as subkings, but the actual rank used is always rex, never regulus (except for a late legend concerning Eormenred). The usual style was simply King of Kent (rex Cantiae) or King of the Kentish Men (rex Cantuariorum). Territorial division within Kent is not alluded to, except by Eadberht I (rex Cantuariorum terram dimidii) and Sigered (rex dimidie partis prouincie Cantuariorum). 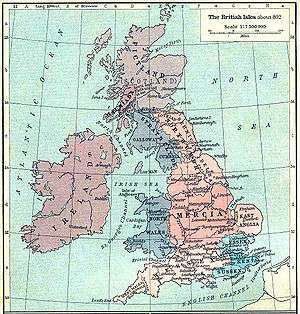 Under the direct rule of Offa of Mercia (785–796). Campbell, A. 1973. Charters of Rochester. Anglo-Saxon Charters 1. Fryde, E. B., Greenway, D. E., Porter, S., & Roy, I. 1986. Handbook of British Chronology, 3rd ed. Royal Historical Society Guides and Handbooks 2. Garmonsway, G. N. 1954. The Anglo-Saxon Chronicle, 2nd edition. Kelly, S. E. 1995. Charters of St. Augustine’s Abbey Canterbury and Minster-in-Thanet. Anglo-Saxon Charters 4. King, J. E. 1930. Baedae Opera Historica. Loeb Classical Library 246 & 248. Kirby, D. P. 1991. The Earliest English Kings. Sawyer, P. H. 1968. Anglo-Saxon Charters: An Annotated List and Bibliography. Royal Historical Society Guides and Handbooks 8. Searle, W. G. 1899. Anglo-Saxon Bishops, Kings and Nobles. Sweet, H. 1896. The Student’s Dictionary of Anglo-Saxon. Yorke, B. 1990. Kings and Kingdoms of Early Anglo-Saxon England.